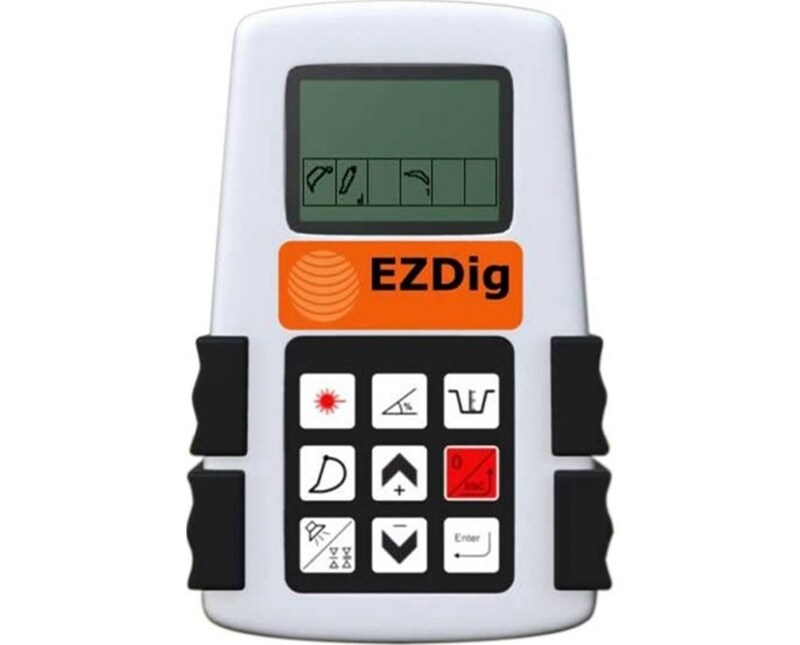 The Geomax EzDig 1D Standard Excavator Guidance Machine Control System is a robust and easy-to-use receiver with one-function buttons for fast access to all features. It has five machines or 150 buckets calibration storage. With an accuracy of ±7/16 inch, this machine control receiver is perfect for construction applications, such as footings, foundations, drainage, trenches, pipe laying, tank settings, parking lots, roadwork and more. 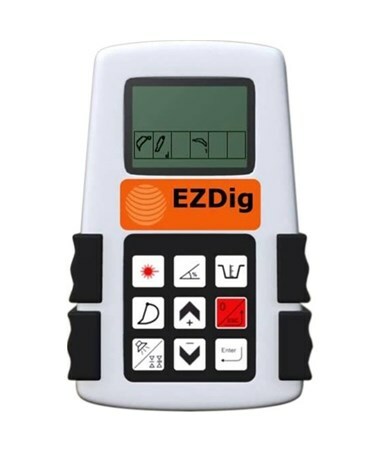 With a remote LED display and sensor plates for easy detection, the EzDig 1D Standard provides the easiest setup and equipment operation for doing excavation projects. Simply put the bucket teeth on the reference point and enter the desired depth, slope or distance into the control box. Follow the LED indications and it's done! 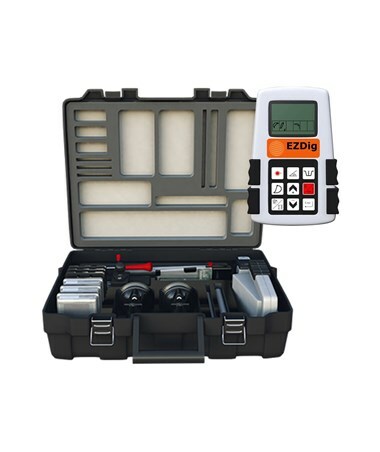 The Geomax EzDig 1D standard machine control receiver features a digital 2.6" graphic display and easy-to-understand icons. For continuous operation, it utilizes a 12/28-volt system power and a solar charger. It has an operating temperature range of -4° to 158°F and an IP67 rating, making it ideal to use even in the toughest job site.